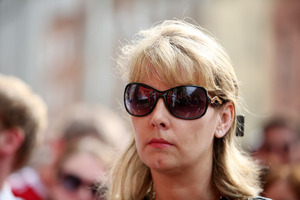 Emma Mhic Mhathúna, one of the women at the centre of the cervical cancer controversy, has died in Co Kerry. 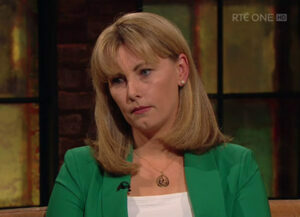 Ms Mhic Mhathúna was one of the most public figures in the CervicalCheck crisis. Aged 37, from Kerry and with five children, she developed terminal cancer. In May, she settled her case against the HSE and the US laboratory, Quest Diagnostics for €7.5 million. Posted in Misc and tagged CervicalCheck, Emma Mhic Mhathúna at 1:20 pm on October 7, 2018 by Bodger. Very sad news. We owe her a lot. RIP. Rest in Peace Emma. Your fight will go on. 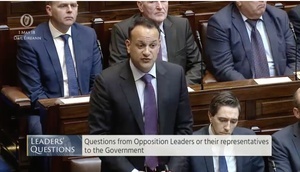 “There will come a day in Ireland where people just get fed up and stone Leinster House. That poor woman. Heart breaks for her family – for the young children left behind. RIP Emma. There are no words to make it better for them and no amount of money either. RIP Emma. Condolences to your family. A terrible loss to her children. R.I.P. Emma. Yes. Her poor children. May she rest in peace. He is capable of compassion you know, even if his views differ from yours. It’s not about who is right and who is wrong, but about women like Emma and their families. It IS about right and wrong. Maybe I read his use of particular words incorrectly due to past comments regarding some settlements. Maybe I didn’t. No disrespect intended to Emma, her family or anyone impacted. Apologies. I think it’s a case of crossed wires then. I didn’t read his comment like that, and as a result read yours incorrectly too. I didn’t mean to sound preachy or sanctimonious. I just think we should that a measure of respect should be shown today. We can resume the usual back and forth tomorrow. An outstanding mother, a fighter, beacon for others. RIP. Shocking. What can you do or say, it’s so depressing on a personal level, but resolve to try and ensure this kind of error with a diagnosis doesn’t happen again. Hug the kids tight. Nicely put, Dub Spot. My mum (RIP) was a midwife for 20 years in Tyrone, she lost mothers in child-birth, 2, out of at least a thousand, maybe more. I’m so sorry – she seemed great. A sad day. RIP and condolences to her family. Silence on her passing from the Say Nope To The Pope crowd. RIP to a wonderful woman and may her family find some comfort in the outpouring of support for what she stood for in her end days. I am sickened to see the tweets from many politicians in this country using her name for political purposes. This state made her fight to the very end. 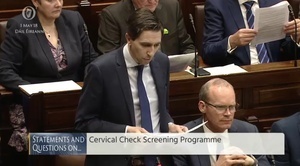 Simon Harris and Leo Varadkar are despicable human beings for what they govern over in this country. The sheer torture they forced these women to go through and then to use her name to cry crocodile tears is stomach churning. And the Irish electorate continuously condone all these despicable acts by re electing them. As a nation of citizens we have all let Vicky and her family down. These despicable incompetent individuals only have this power because you choose to give it to them. A cost cutting exercise by incompetents caused this death and not one of them will be fired or even disciplined. The higher echelons of the civil service consider themselves to the real government yet they will all scutter under the nearest rock when accountability is mentioned. May this poor woman’s family, in time, learn to forgive the faceless who let this happen. May her memory become a beacon of light that things can, and will, change. This isn’t the time SOQ. Since when was echoing the beliefs of the deceased inappropriate? Cian, when is the time? A beautiful lady. We must make sure that we are there for her children. RIP. My condolances to all her family. Please let us give them the privacy they need to come to terms with the enormous loss of this wonderful woman. I truly despair at this. May she find some peace and may one day her family come to some sort of terms at losing her. In the face of such adversity she has shown tremendous grace and courage. May we never forget her. Utterly heartbreaking and maddening. RIP Emma.